Description: Auto Click Robot is a software that can perform clicks on specified images, specified points, perform defined keyboard inputs, copy text and more. It can perform sequence of events like click a image(1 or n times), then click a point, then copy a text at a location, repeat some actions in loop. 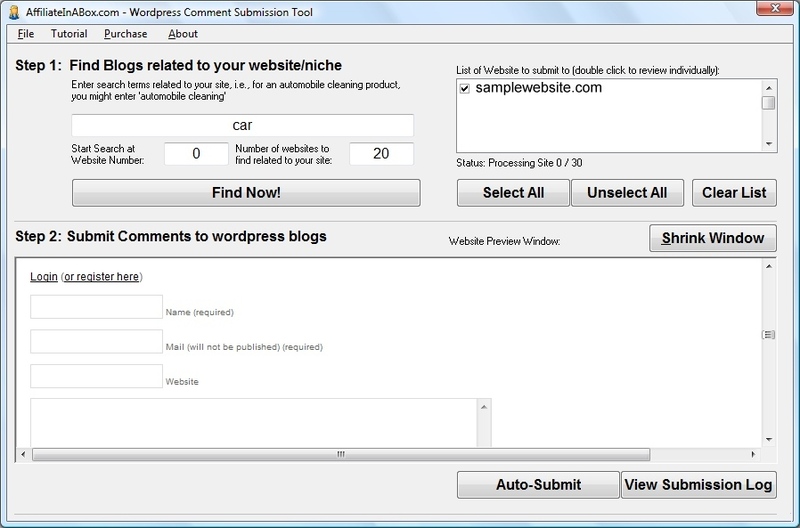 Easy to configure and far effective than existing autoclicker softwares as it can click on images. 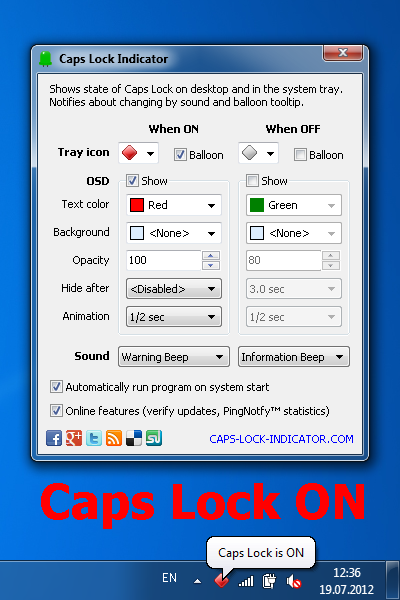 Description: Caps Lock Indicator software offers two Caps Lock state indicators: Tray Icon and On-Screen Floating Text. Notifications by sound are also available. Moreover, sound alerts can be different for On and Off states. The product is distributed on the Try Before You Buy model with 30-day trial period. The license costs $9.95 per computer or user. There is a volume discount. Description: Lots of notebooks, netbooks and cordless keyboards have no indicators for Caps Lock, and Num Lock. Scroll Lock's bulb disappeared almost from any hardware for now. Keyboard Leds software solves this problem. 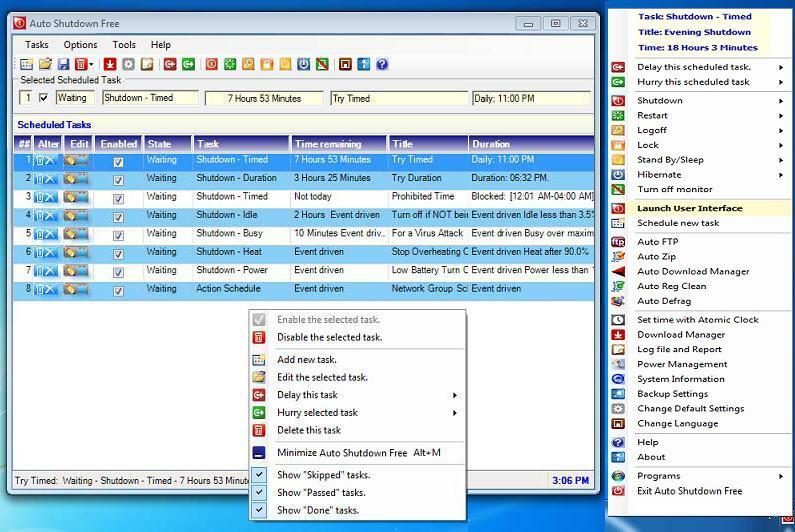 The program lets you know the current state of keyboard locks. You can see the status either on a small icon in the system tray or on a floating OSD window. 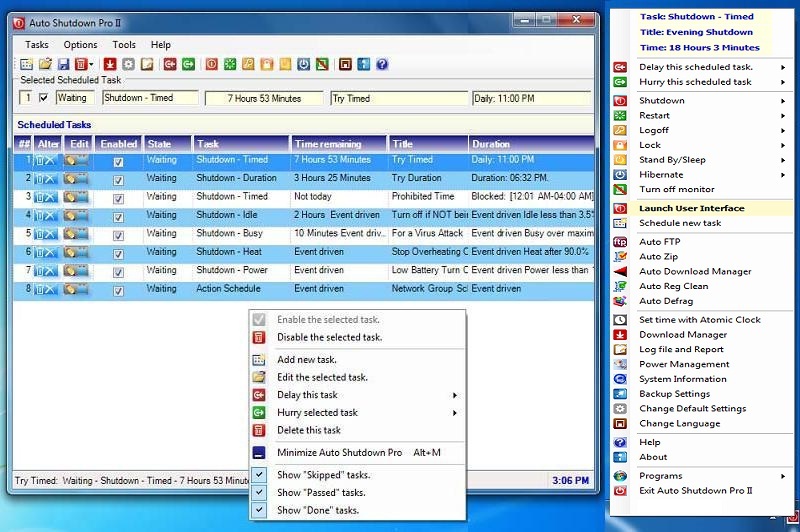 Description: SoftwareForMouse. You can make your own set of buttons and create an modern popup menu, virtual keyboard or clipboard in 3d. (any button can run a shortcut, program or write/read registry) [without focus the windows] (scripting command codes can be maked in autohotkey/msdos/???) It required that you did install autohotkey on your system. 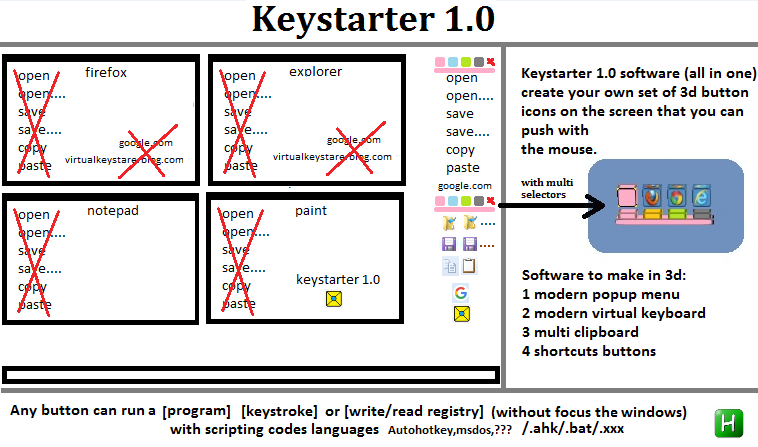 keystarter 1.0 is portable no need to install put it on ramdisk or disk and run.